Louise Bourgeois, one of the world’s most influential contemporary artists died Monday, May 31, 2010 in Manhattan where she lived and worked. She was 98. Wendy Williams, managing director of the Louise Bourgeois Studio, told the New York Times that Louise died of a heart attack. 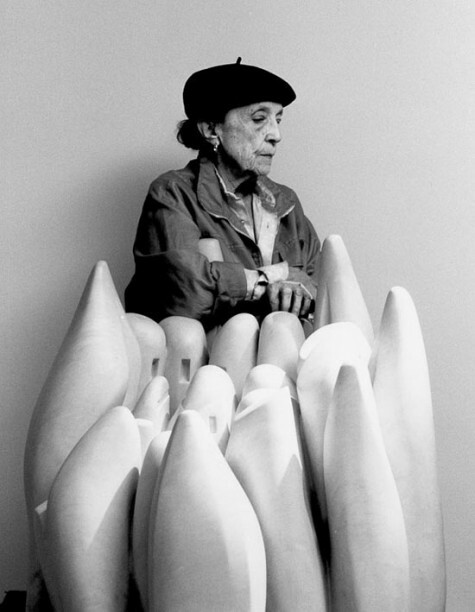 Louise Bourgeois’ life as an artist has been prolific. Her work, often abstract dealt with issues of the body, particularly around themes of womanhood and childhood. She has stated that for her, art is not a job; it is a life. We have been looking at the products of that life for the past twenty-five years, since her watershed 1982 survey at the Museum of Modern Art, and sporadically for decades before. 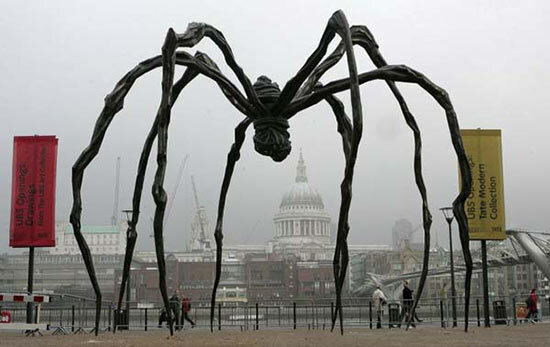 Bourgeois’ worked in a variety of media ranging from wood to steel to stone tended to center on the human form, although among her most instantly recognizable pieces were giant spider sculptures, some of which were three stories high. She has said that she works in response to emotions; fury at the past, fear of the present, and so on. But on the evidence of the survey, she is equally impelled by formal options — what she can do with her hands. Bourgeois moved to New York in 1938 after marrying a U.S. art historian, and her reputation gradually grew. 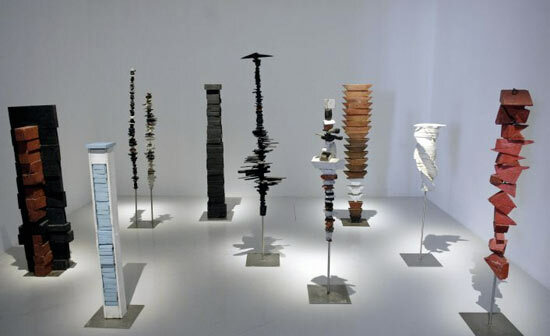 But it was not until the 1980s and 1990s, when she had a retrospective at the Museum of Modern Art and represented the United States at the Venice Biennale, that she began to be considered a major influence. Bourgeois is thought to have invented confessional art, and influenced the feminist movement as well as modern artists such as Damien Hirst and Tracey Emin. Regarded by her fellow artists as one of the most important artists in the world, Bourgeois came to greater public attention later in life. In the 1980s and 1990s she began to be considered a major influence. 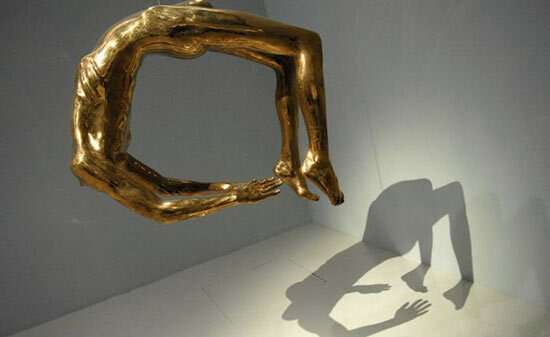 She had a retrospective at the Museum of Modern Art and represented the United States at the Venice Biennale.